Graham joined Watsi on February 15th, 2019. 19 other people also joined Watsi on that day! Graham's most recent donation supported Carolyne, a woman from Kenya, to fund fracture repair surgery. Graham has funded healthcare for 1 patient in 1 country. Carolyne is a woman from Kenya. She is the sixth of nine children. She works as a small-scale farmer. 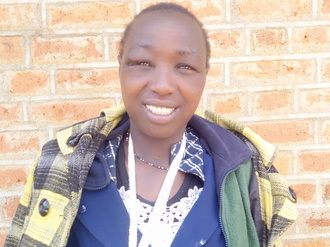 In late January, Carolyne was in a road traffic accident and suffered injuries on the right side of her body. She has been diagnosed with an intra-articular distal radius fracture. She can't lift or stretch her hand. Fortunately, Carolyne is scheduled to undergo fracture repair surgery on February 1. The procedure will cost $763.